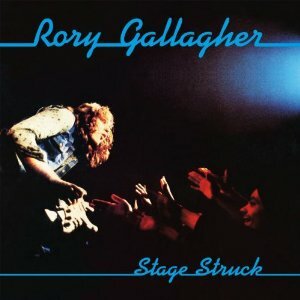 Stage Struck is Rory Gallagher‘s third live album and presents a heavier, hard rock approach to his guitar style recorded in 1979. The blues had been the emphasis of Live In Europe and Irish Tour. On Stage Struck Rory Gallagher has changed his style and moved away from blues rock and towards hard rock. How well do you think this live album compares with the earlier live albums from Rory Gallagher? Do you prefer this harder rocking edge to his play? Please take part in my readers poll to find the best live albums. What are the best blues rock albums -, this is the category that Rory Gallagher would normally fit in. This entry was posted in 1970s Live Albums, Heavy Metal Live Albums and tagged 1970s hard rock, 1979 live albums, heavy metal 1979, Rory Gallagher Live Albums by Paul Simister. Bookmark the permalink.